Is the form here displaying properly? Yes it is. When I test it from your website it shows good. It's when I embed it and pull it up online is where it's bad. I never had that problem before. It does appear to be some localised caching issue. Is it possible for you test if it shows OK on another web browser? When I try the web page in a browser in dreamweaver the forms com up correctly, then when I ftp the page to the web, the form is all moved around. Does that make any sense ?? I see you are now embedding the forms full source code, has that helped at all? 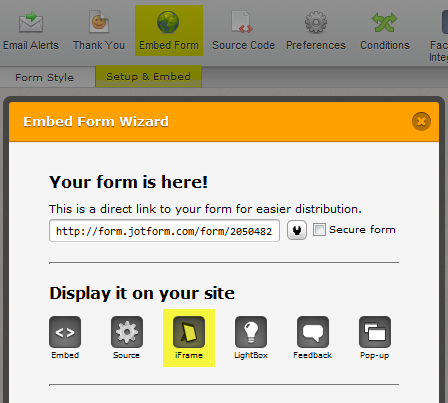 Do you want any help centering the form on your webpage? Also I notice you are making use of a secure form URL, please note 'Free' accounts limited to 10 SSL submissions per month. Try to add this CSS code to your template.